After its terrible performance in last week’s byelections, some analysts are predicting doom for the BJP in the 2019 general election. In the byelections, it won only two of 14 parliamentary and assembly seats at stake, and its ally in Nagaland won one more. The opposition is deliriously optimistic. Yet byelections are notoriously poor predictors of parliamentary elections. The BJP will face a tough fight in 2019. But it could still return to power despite heavy seat losses. Its defeat in the Kairana byelection in Uttar Pradesh was traumatic. The BJP swept the state in both the 2014 general election and 2017 state election, when it faced a splintered opposition. But those defeats persuaded opposition parties to form an anti-BJP front, which has now won three parliamentary byelections in a row. The two earlier defeats were in supposedly safe seats vacated by the chief minister and BJP party chief. Those defeats were ascribed to overconfidence. So, the party threw everything into the Kairana byelection, but still lost. Clearly a united opposition is far more formidable than the splintered opposition that the BJP beat in earlier polls. Many opposition parties hated one another, and have factions opposed to opportunistic anti-BJP alliances. But the byelection results have hugely boosted the chances of a grand alliance of parties to combat the BJP in the next general election in all but a few states. In four-way contests, a party with just 28% of the popular vote can win. The Congress party in its Nehruvian heyday beat splintered oppositions in many states with just 35% of the vote. Arithmetic suggested that if opposition parties got together, they could end the Nehruvian Congress hegemony. So, in 1971, many opposition parties — the Congress(O), Jana Sangh, Swatantra Party, PSP and SSP — formed a grand alliance against Indira Gandhi. Arithmetic suggested that their combined votes would lead to victory. But they did not reckon with the special chemistry that Indira Gandhi had with voters. Chemistry beat arithmetic. The arithmetical approach assumes that supporters of a party will transfer their votes to the candidate of any alliance the party joins. In fact, such transference is typically very incomplete, and many votes leak to the other side. Strong supporters of a party may reject an opportunistic alliance with parties they dislike. The more disparate the alliance, the less is the vote proportion transferred. India in 2019 will in some ways resemble 1971. Once again it will have a charismatic politician, Narendra Modi, whose chemistry with voters is arguably comparable with Indira Gandhi’s in 1971. 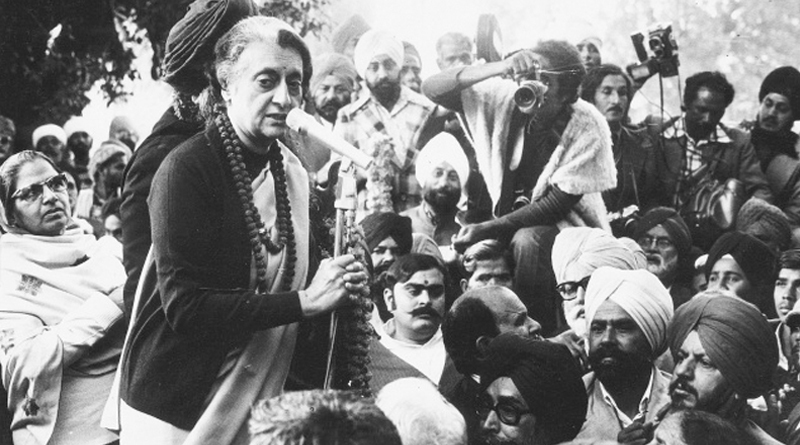 Will a grand alliance against Modi fare any better than the one against Indira? Opinion polls show that popular support for Modi is much stronger than for the BJP. The party’s vote has consistently been lower in state elections (for choosing a chief minister) than in national elections (for choosing a prime minister). In my election travels, many voters have told me they will vote for the Congress or regional parties in the state election, but for Modi in parliamentary elections. In the last general election in 2014, the BJP swept the northern and central states. It won 73 of 80 seats in UP, 31 of 40 in Bihar, all the seats in Gujarat and Rajasthan, 27 of 29 in MP and 12 of 14 in Jharkhand. Anti-incumbency has proved a strong force in all state elections in the last two years. The BJP will be the incumbent in 2019, and anti-incumbency will surely cost it dear. The problem will be exacerbated if the opposition forges a grand alliance. Modi’s economic achievements have been reasonable, yet a Lokniti poll shows the proportion of people who think “achhe din” have arrived has fallen from 63% to 42% in the last 12 months. The NDA could easily lose 50-70 seats in 2019, maybe many more. A loss of 50 seats will still give the NDA a majority. A loss of 70 seats will reduce the NDA tally to 266 seats, just seven short of a majority, which it will surely be able to engineer with minor parties. However, the BJP itself will be far short of a majority and will need many allies to rule. Modi has behaved so arrogantly in his four years in office that he has alienated allies like the Shiv Sena and Telugu Desam Party. Within his party he is feared but completely unloved. Some allies privately say they will tie up with anybody in the BJP except Modi after the next election. The party is most unlikely to dump Modi. But his faulty chemistry with allies might yet neutralise his good chemistry with voters.